"Built to commemorate the discovery of a miraculous image of Our Lady." 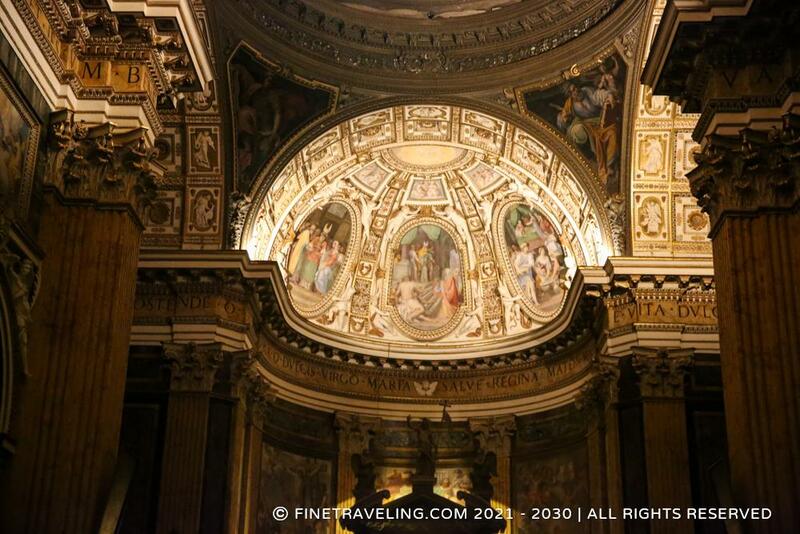 The church of Santa Maria ai Monti in Rome has a simple facade with Corinthian pilasters and a glorious interior with gold as the prominent color, paintings adorning the walls and sculptures siting in the dome's niches. 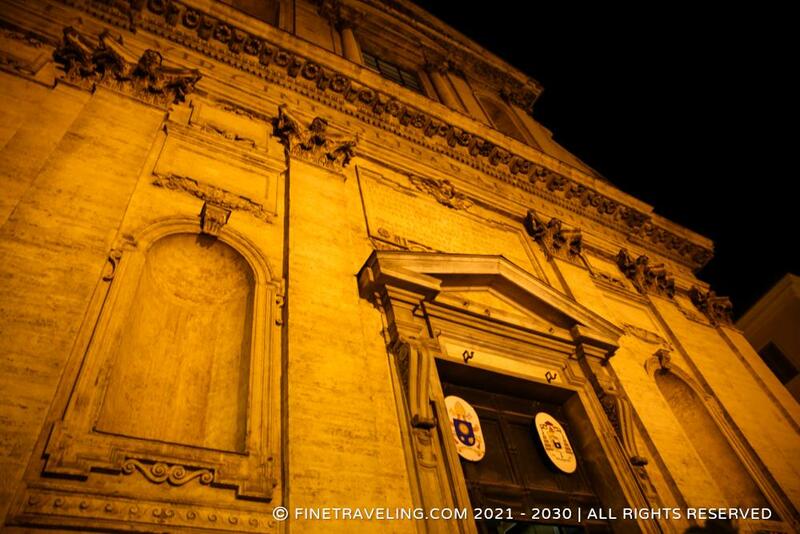 The baroque church was built by Pope Gregory XIII in the 15th century, commemorating the discovery of a miraculous image of Our Lady.